When Justin Revell bought his new-build house near Norwich, he thought it was the dream home. "I think currently it's actually taken over my life," he says. He shows us around, pointing out what he calls the "endless list" of problems he's encountered since October 2016 when he moved in. "You find one problem and that escalates into another problem - it's like opening a can of worms." From substandard ceilings to badly-fitted fire-doors, missing insulation and condensation issues. Both his kitchen and a bathroom have had to be ripped out and replaced. He and his wife have moved out twice while repairs were done. It has been dealing with builder Taylor Wimpey, as well as the issues themselves, that have taken its toll. "They make it deliberately difficult to contact them, they don't respond to you, they'll tell you something is fixed when it isn't." Mr Revell says. "A lot of people don't have the time or the knowledge to take the builders on." He's joined forces with his neighbour Lyn Whiteman to help manage the problem. "It's not a coincidence that two houses two doors down from each other with identical problems," she says. "This is not isolated to this particular property or this estate - it's got to be national." Taylor Wimpey says it apologises for the issues experienced by Mr Revell and Ms Whiteman and for the inconvenience caused. But could the two be right about a broader problem? The Homeowners Alliance says they have seen an increase in the number of people approaching them for help over the last two years because of serious defects with their new-build homes. Research from the organisation, which represents the interests of homeowners to the house building industry, suggest that only two-thirds of new homeowners are happy with the way their builder resolved any defects with their home. And even the developers themselves acknowledge the problem. The Home Builders Federation own satisfaction surveys show a rise in the number of customers reporting snags - from 93% in 2015 to 99% in 2018. That data comes just weeks after the government said they were considering removing Persimmon from the Help To Buy scheme after increasing concerns over the quality of its building work. And there is rising alarm from consumers and experts about the severity of these so-called snags. Timothy Waitt has become a specialist on construction cases at Anthony Gold solicitors. "I'm not talking about dodgy kitchen units - I'm talking about major structural failings that affect health and safety." Mr Waitt is getting enquiries on a near-daily basis on these kinds problems and is fearful a skills shortage in construction means that it is just the tip of the iceberg. "I do not think we're talking about deliberate decisions to miss out on key expensive structural elements," he explains. "This is about carelessness. I think what is arising is that people are making mistakes, potentially because they do not realise the significance of what they are doing, due to a lack of training, a lack of experience and a lack of supervision." 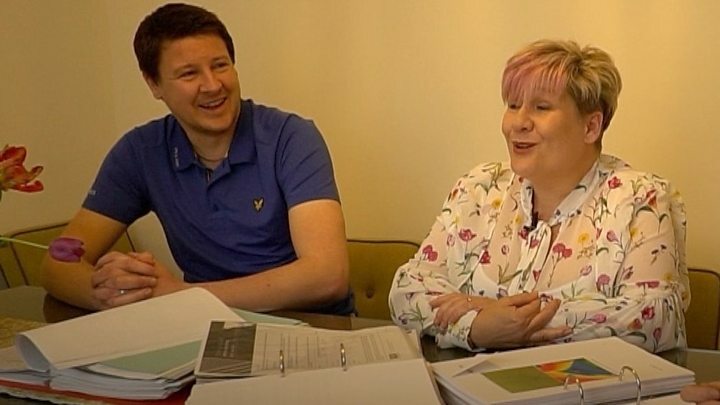 Like Mr Waitt, the BBC has spoken to a broad spectrum of homeowners across the country and across developers, whose "snags" go far beyond the kind of teething problems often anticipated with new builds. From Debbie, dealing with rising damp and poor drainage in East Sussex, to Saima in Wokingham where damp and mould drove her family out of their home or Robert in north London who has endured eight years of fighting to fix floors dipping in his home. What unites them all is the severe emotional strain it's placed on them. As a result, The Home Owners Alliance is campaigning to boost the rights or protection for buyers. "There is no incentive for a builder to build right and move on," explains chief executive Paula Higgins. "So that's why we're calling for a snagging retention so people can hold back some money and the builders will get things done properly." Issues with snags occur across developers and building businesses. In this case, Mr Revell and Ms Whiteman's homes were built by Taylor Wimpey. Taylor Wimpey says: "We sincerely apologise to Mr Revell and Ms Whiteman for the issues experienced with their homes and for the inconvenience caused as we undertook remedial action. "We are committed to delivering homes of the highest quality and service and we take our responsibilities to our customers extremely seriously. "We have taken actions to put things right for these customers and all necessary works for both residents have now been completed as agreed. These works are in line with, and in some parts exceed, building regulations." "All our homes are subject to strict quality checks throughout construction, examined by the NHBC at key stages and are not handed over until a full quality inspection has taken place." As well as a developer's guarantee for the first two years, warranties are provided on new build homes. The National House-Building Council protects 80% of them from years three to ten in a property, and they say the quality of new homes continues to improve. "While we cannot be on site at all times, these visual, spot-check inspections are designed to target critical elements of the build process and allow us to highlight potential defects to the builder," says the NHBC. "As most problems that arise in the first two years will be dealt with by the builder without reference to NHBC, we do not collect data on snagging; however, one barometer would be complaints received by NHBC, and these have not increased. "In addition, new warranty claims continue to fall, with this trend being a clear sign that the quality of new homes covered by NHBC continues to improve." A Ministry for Housing, Communities and Local Government spokesperson says the government wants to see more good quality homes: "We know more needs to be done to protect consumers, and our New Homes Ombudsman will protect the rights of homebuyers and hold developers to account."